Six ways to support students with dysgraphia—a learning difference that affects a person’s ability to produce written work. Dysgraphia is a language-based learning difference that affects a student’s ability to produce written language. In the early grades, students with dysgraphia may have difficulty with consistent letter formation, word spacing, punctuation, and capitalization. In later grades, they may have difficulty with writing fluency, floating margins, and legible writing. In the classroom, students with dysgraphia are often labeled “sloppy,” “lazy,” or “not detail-oriented.” But students with dysgraphia are often trying very hard, if not harder than others, just to keep up. Dysgraphia is an invisible disability that often goes hand in hand with dyslexia. Like students with dyslexia, students with dysgraphia are often acutely aware of what they’re not capable of relative to their peers. To simulate the experience of having dysgraphia, try this: Write a paragraph about the best trip you’ve ever taken. Give yourself two minutes on a stopwatch, and write the paragraph with your non-dominant hand. How did that feel? Did you try hard? Does the finished product look like you gave it your best shot? Do you feel the work demonstrates your intelligence or gives your audience a full idea of what you wanted to express? Would you feel proud to hang that on a wall beside your peers’ work? Dysgraphia can be remediated with occupational therapy to strengthen fine motor skills, support written expression, and speed up language processing. If a student is struggling with writing in a way that goes beyond what is developmentally appropriate, they should receive an evaluation by an occupational therapist for remediation. Early intervention for orthographic processing, fine motor coordination, and written expression can help alleviate the difficulties that students with dysgraphia face. While specialists provide key intervention strategies for students with dysgraphia, teachers in the general ed classroom have an important role to play in supporting these students as well. I have a few ideas for curriculum, accommodations, and tools that can help teachers in supporting these students. 1. Teach Cursive Writing: Cursive writing has fewer starting points than disconnected print letters, which translates to improved writing speed, more consistent letter sizing, and neater overall appearance of writing. Watch a free webinar on the importance of cursive writing instruction for students and use cursive writing books from Handwriting Without Tears to teach cursive writing as early as first grade. 2. Teach Typing: Typing can be easier than writing once students are fluent with keyboards. Teach typing skills starting as early as kindergarten and allow for ample typing practice in the classroom. Many schools and districts have typing programs to support their students’ budding typing skills. Great online typing programs include Nessy Fingers Touch Typing (which costs money), TypingClub, and the games at Typing.com. 3. Provide Access to Speech-to-Text Tools: Assistive technology accommodations can support students with dysgraphia in their classroom writing tasks in all grades. There are several free, easy-to-use speech-to-text dictation tools. Students can use Google’s Voice Typing tool, Dragon Dictation, or Apple’s Speak Screen functions. 4. Use Graph Paper for Math Assignments and Tests: Graph paper helps students with dysgraphia stay in the lines, which becomes increasingly important in the later grades when they’re faced with more complex math tasks. Reduce unintended errors by providing graph paper for student tests or as a background for homework assignments. Use the free printable math grids at Do2Learn. 5. Allow for Note-Taking Accommodations: Copying notes from a whiteboard can be a particular challenge for students with dysgraphia. Allow students to take pictures of lecture notes to review later. Students can use a free optical character reader (OCR) like Prizmo Go (for iOS) or Google Keep (for Android) to automatically read text from the photos to review those notes. 6. Be Deliberate About Hanging Students’ Written Work: Classroom writing is difficult for students with dysgraphia. Written assignments may take two or three times as long to complete, and often they will look sloppy even if the student has tried to produce their best work. When displaying student work, consider waiting to hang assignments until everyone has finished so students with dysgraphia don’t feel shame at having everyone else’s work on display while theirs is still in progress. Another option is to hang typed work so students with dysgraphia can be proud of the finished product that hangs alongside the work of their peers. These are just a few things that may help a student with dysgraphia in the classroom. But mainly it’s important to be creative about accommodations and to communicate with students about their individual needs. When students feel understood and supported in the classroom, the positive social-emotional impact has ripple effects through their whole school experience. 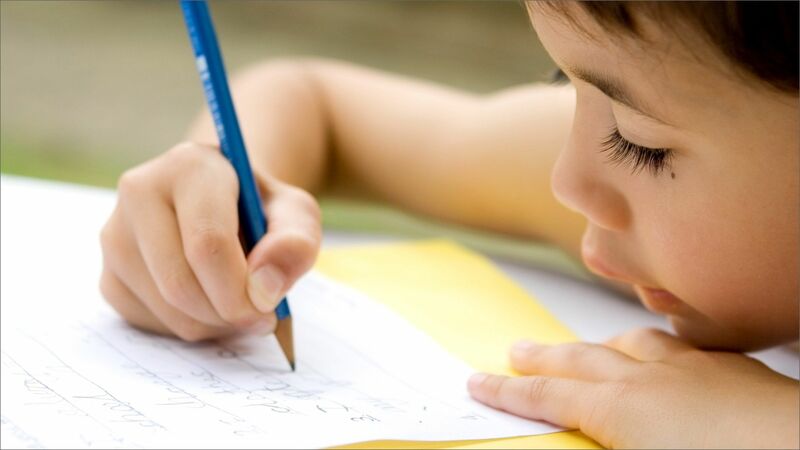 Learn more about what dysgraphia is and how to support it at Understood.org.